The first thing I spotted was Hyaluronic Acid. Sold! But I kept on looking. The second thing I spotted, and the main selling point of the brand, was the Sacha Inci Oil. A quick research told me that this was a new Protein rich Omega stuffed Peruvian wonder oil, very similar to the much loved Argan Oil which I also use quite regularly. Lastly, and this wasn't about the ingredients, I noticed that each product was labelled in a clear step by step routine so that you couldn't go wrong. This was beauty by numbers and it ticked all my boxes. 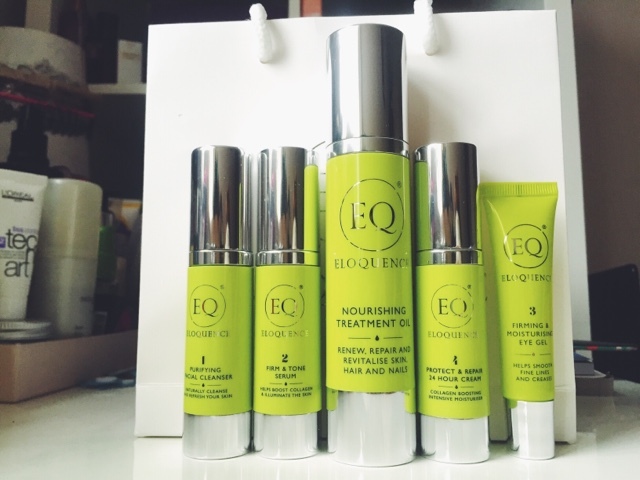 When the set arrived I had to wait a few days before truly getting stuck in to my rigorous testing (I had just received a course of Laser Hair Removal from Destination Skin and had to avoid acid based products for a week) but I marvelled at sleek design of the packaging and the functionality of the pump action bottles. These will stand out on your shelves and make you want to reach for them. What I did do was start off with the Nourishing Treatment Oil (pictured first on the left, below). This is an rounder product I've been using it everywhere. 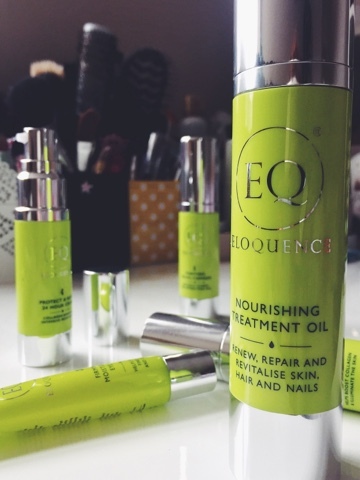 Whether it's as a facial oil, or massaging into my cuticles, rubbing on the ends of my hair I have literally bathed in this oil and it's lovely. Often I find oils can be sticky or leave my skin with a nasty residue that I have to wipe off. There was none of that with this oil. 2 pumps did my hands and face with a quick wipe of the excess through my bleached ends. I noticed a massive difference. When I finally was able to get stuck in to the four step treatment I loved how simple it was. Having the numbers labelled on the bottle really takes the stress out your routine. Step 1 - Purifying Facial Cleanser (pictured second on the left, below). The cleanser is probably my least favourite product in the range. It's a lovely cleanser with little foaming or lather action that makes it feel chemically but it's not something I feel I could entrust to a full face of makeup. You'll definitely need a second cleanse beyond just eye makeup remover and that's just more effort than I like to make on a daily basis. That being said if you're not wearing makeup or are a fan of a multiple cleanse routines then you will absolutely love this step. 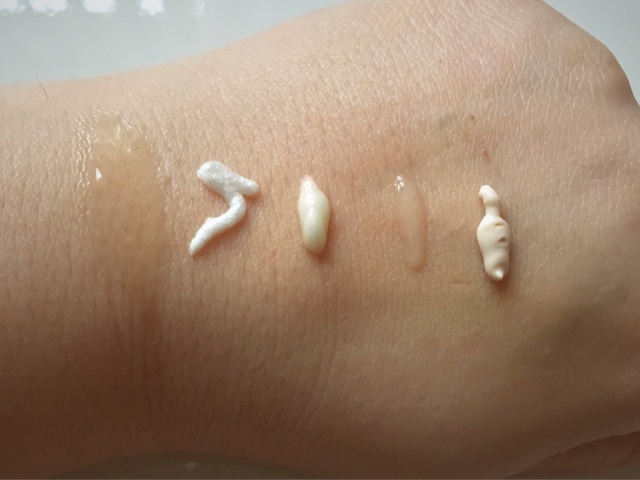 Step 2 - Firm & Tone Serum (pictured in the middle, below). This was my first click when I was in research mode. Having dry skin I need to know that a serum is going to suit me and this one, due to the use of Hyaluronic Acid, does. 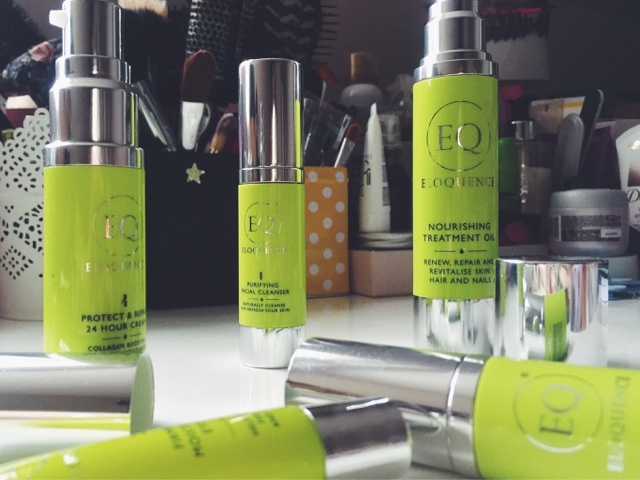 A cream base , rather than a gel, it glides on the skin and leaves a perfectly prepared surface for the moisturiser. The two products really do work well together which is something that I find brands don't often get right. 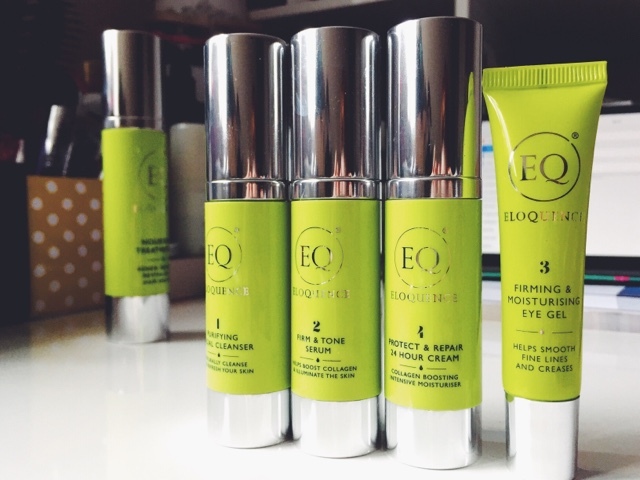 Step 3 - Firming and moisturising Eye Gel (pictured second last on the right, below). This is my most neglected step in my normal skin care routine but it has been nice to take that extra bit of time to treat my eyes. Given my recent poor health and the fact that it seems to just get worse every day (I should probably point out here that I'm writing this review from hospital. My third stay in less than two months), the fact I've been able to see a marked improvement in the tiredness in my eyes is definitely down to this gel. My only issue with this product is the tube itself, I find it hard to control the amount of product I'm squeezing out so there is lot of wasted excess being wiped away. I miniature version of the pump action bottles or even a smaller hole in the Nib could easily solve this! Step 4 - Protect & Repair 24 Hour Cream (pictured last on the right, below). As I've mentioned already this cream pairs lovely with the other products in the range. They blend into each other and leave you wanting to touch yourself for the rest of the night (careful now). However an important step for me was that this worked independently from its siblings. If I'm floating about during the day I'll often just dab a bit of moisturiser on to refresh my skin and I hate it when I'm left feeling tight or greasy afterwards. Two opposite but equally displeasing sensations. No such problem here. 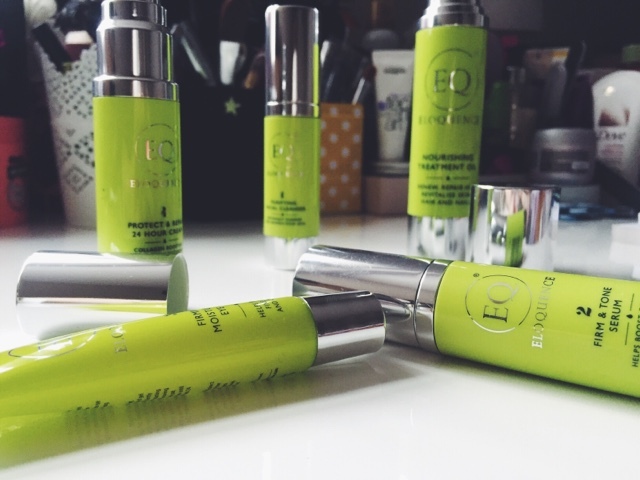 So there you go, my thoughts on the Eloquence Beauty Pure Luxury Collection. These are definitely going in to my regular skincare rotation and I will be keeping an eye out for more from this brand. I look forward to seeing what they have in store.